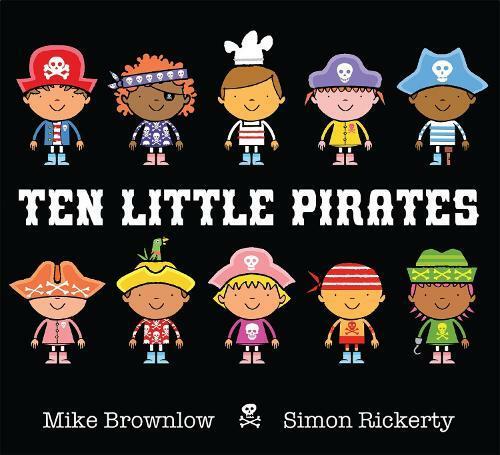 Ten little pirates set out to sea in search of adventure. But what will the ten little pirates do when they meet a hurricane…and a giant squid…and a HUNGRY SHARK? This fun-filled rhyming story, which incorporates counting backwards from ten to one, is great to share with young children who are learning about numbers. The colourful, humorous illustrations feature objects to spot and count on every page. With a bouncy, rhythmic text and lots of great sound words, this piratical adventure is perfect for sharing again and again.